This project received State and National recognition, winning both the New South Wales and Australian 2014 Resilience Australia Awards (local government category). The Awards recognise innovative practices and achievements across the nation which support and strengthen community disaster resilience. 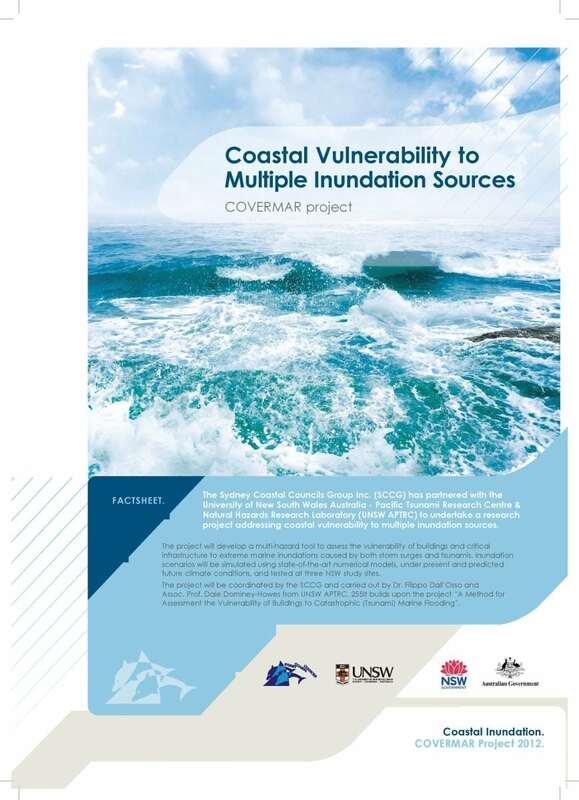 The Sydney Coastal Councils Group Inc. (SCCG) partnered with the University of New South Wales Australia – Pacific Tsunami Research Centre & Natural Hazards Research Laboratory (UNSW APTRC) to undertake a research project addressing coastal vulnerability to multiple inundation sources. The project has developed a multi-hazard tool to assess the vulnerability of buildings and critical infrastructure to extreme marine inundations caused by both storm surges and tsunamis. Inundation scenarios were simulated using state-of-the-art numerical models, under present and predicted future climate conditions, and tested at three NSW study sites. The project was coordinated by the SCCG and carried out by Dr. Filippo Dall’Osso and Assoc. Prof. Dale Dominey-Howes. The project Fact Sheet can be viewed by clicking on the image below. We developed a multi-hazard tool to assess the vulnerability of buildings and critical infrastructure to extreme coastal inundation caused by storm surges and tsunamis, modelling 36 tsunami scenarios combining two sources, three annual tsunami probabilities, the current and two future sea levels and high tide and mean sea level. We undertook a multicriteria analysis of the vulnerability of our 15 Member Councils and identified Botany Bay and the adjoining Port Hacking and Bate Bay as an appropriate case study location. We surveyed the physical and engineering attributes of all buildings in the study area (~4000 buildings) and imported them into a GIS system. We then calculated expected economic losses (Probable Maximum Loss) drawing upon current building construction, demolition and replacement costs. Results were displayed on a series of coded high-resolution colour coded maps. Project deliverables inform coastal strategic planning, development assessment and emergency management. 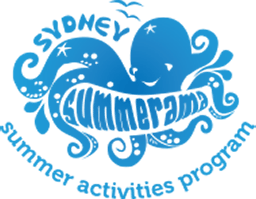 They expand awareness and understanding of the vulnerability of NSW coasts to inundation (from storm surge and tsunami) and its impact on infrastructure, canvassing recommendations in relation to planning and development and coastal and emergency management. Many elements of the project methodology can be applied to other hazards such as bushfire and flooding. This project is funded by the Australian and NSW Governments and conducted under the Natural Disaster Resilience Program, as described in the National Partnership Agreement on Natural Disaster Resilience and the NSW Implementation Plan 10/11. Review of methods for assessing the vulnerability of buildings and infrastructure to extreme inundations. The Hazard Assessment Report reviews the numerical simulations of the selected tsunami and storm surge inundation scenarios: 1/100 yr storm surges, and 1/100 yr, 1/1,000 yr and 1/10,000 yr. tsunamis under present and future sea level conditions. This report describes the methodology and presents the results of the building and infrastructure vulnerability assessment at a NSW case study location. On 17 February 2014, at Customs House, Sydney, the project deliverables were launched. Presentations from the principle researcher and three other industry stakeholders (Geoscience Australia, NSW SES and the Hazards Research Group, University of Sydney) were delivered to 62 attendees representing 40 different organisations. Presentations provided an overview of storm surge and tsunami risk in Australia, reflected on the role of the NSW State Emergency Service and the contribution to research and information by Geoscience Australia. It also reviewed the development of the tool, project methodology, benefits afforded by the Advisory Committee, case study locations and the results thereof. An end-of-launch panel discussion provided an opportunity for participants to explore issues further. Overall, 80% of respondents considered the event very good or excellent, and very or extremely unique. Ninety-two percent thought it was well structured and 50% said it exceeded expectations. Notably, 92% indicated that their skills and knowledge of coastal hazards such as storm surges and tsunamis improved by attending the event. Presenters were well prepared (100% agreement) and communicated well (90% agreement). It was also a good networking opportunity (87% agreement). The subject matter, structure, duration, high calibre of presenters and the contribution of participants ensured that the event was a success. Lessons learned and evaluation results will be applied to future activities to ensure continuous improvement of SCCG events. Australian Tsunami – An overview from hazard to community risk perception.